Effortlessly adjust the settings on the 5.1 sound speaker system set up with wired remote control. This wired remote features a 2.5-inch LCD display used for easily indicating the functions of this surround sound set up. There is also a dimmer control knob for carefully selecting inputs and adjusting speaker settings. 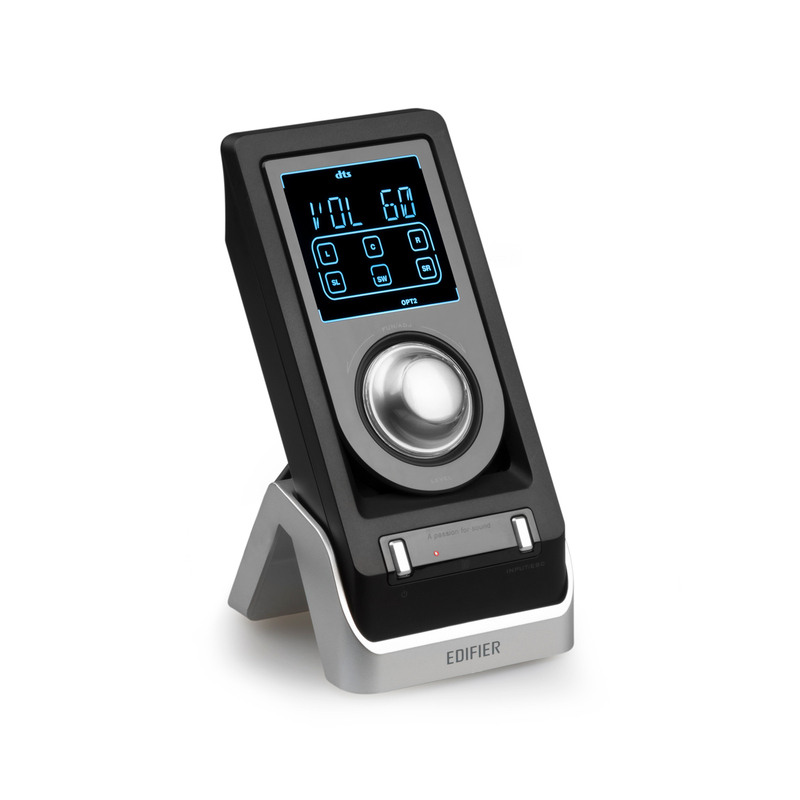 Take control between PC, auxiliary and digital inputs with the S550 Encore wired remote control. Use this remote control to adjust every level of a 5.1 speaker system has. Change the levels of your subwoofer, bass, treble, and left-right balance. The last setting you can change is the backlight dimmer on the remote itself.